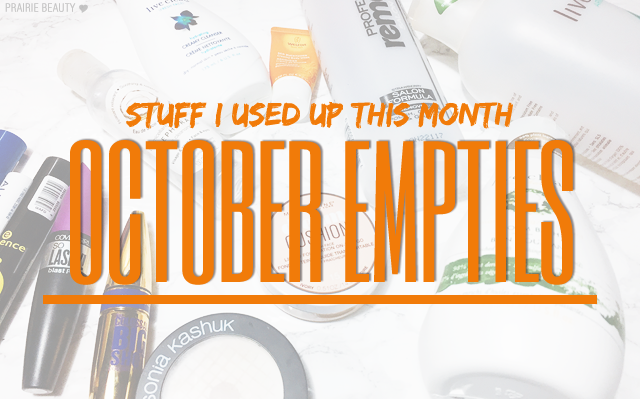 I almost wasn't going to do an empties this month because I didn't think I had enough stuff... and then I went through and did yet another mascara clean out and suddenly I was drowning in empties a little bit. Anyone else find that they end up with an insane collection of mascara and have to do a cull every few months to get rid of the stragglers? Or is it just me? Anyway, I've got 8 mascaras, some bath & body products, and a couple of other makeup items for good measure in this month's trash basket. I'm not even sure if Sephora is even still selling this, I seem to recall seeing it on clearance, but I still don't feel like I'll repurchase. 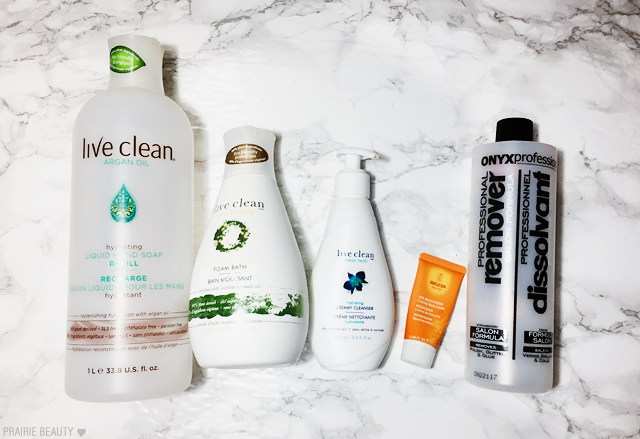 It was nice and I enjoyed using it, but I'll just stick to regular makeup remover or micellar water, I think. I'm gonna need someone to pick this up for me in the US because I am SO SAD to be out of it. This was one of my favorite powders ever for setting my undereyes, because it's lightweight and just makes the area look smooth and subtly brightened. Need another one ASAP. I'm actually a little bit surprised at how much I liked this - but a little bit bummed at how quickly it dries up. I actually already have another one of these on the go and I just love the way that it makes my skin look, so I will probably keep purchasing this. Let's make this quick, shall we? essence The False Lashes Mascara Dramatic Volume Unlimited - LOVE it. Great formula. Will repurchase. bellapierre Volume Lash Waterproof Mascara - Meh. Didn't really impress me. No repurchase. Maybelline The Falsies Push Up Angel Mascara - Neh. Definitely won't repurchase. CoverGirl So Lashes Blast Pro - I like CoverGirl Super Sizer better. No repurchase. essence I Love Extreme Waterproof Mascara - Not my favorite from essence. Won't repurchase. Almay One Coat Multi-Benefit Mascara - By one coat, they mean 20 coats. Looks good, but no repurchase. essence Get Big Lashes Mascara - Again, not my favorite essence mascara. No repurchase. Maybelline Colossal Big Shot - This is fine, didn't blow me away. Won't repurchase. 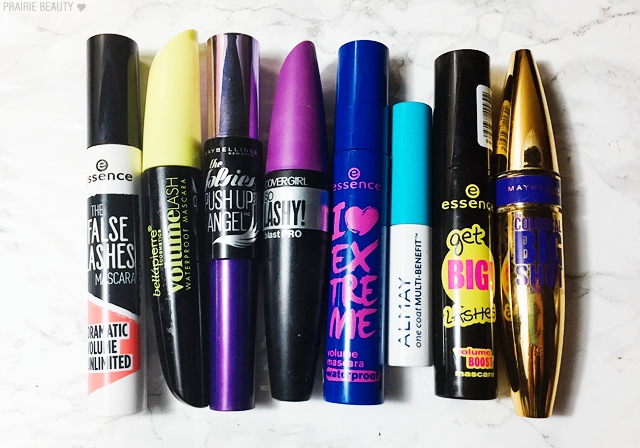 Let me know in the comments if you want to see a round up post of my all time favorite mascaras - because I have some GOOD ones. I have NOT been subtle about the fact that the Live Clean Vanilla Peppermint Hand Soap is my all time, hands down favorite, but I like the Argan Oil and Fresh Water ones as well for when I run out of my beloved holiday scent. This is nice, always recommend these hand soaps. This is LOVELY. Seriously. I love it and I will definitely repurchase after I get through some other delightful bath products that I'll be reviewing on the blog soon. This is actually an empty from my boyfriend, but his response to running out of it was "Hey, babe - I'm gonna need more of this cleanser, can you get me some?" so I figured I'd include it and let you know it's got two thumbs up from a guy whose teeth I have to pull to get him to use skin care. Obviously will repurchase for him. This was really nice. I liked the scent of it and I think it did a good job, but I'm not sure I'll repurchase. Body wash is kind of a weird one for me, it's hard to talk me into repurchasing because there are always so many others to try. But this is a really, really nice one and it gets a recommendation. This is an always repurchase for me. I picked up a bottle that has the pump on it and I just transfer it from the old bottle to the new bottle whenever I buy a new one. It's a little bit more expensive, but I like it and the pump makes it worth it. 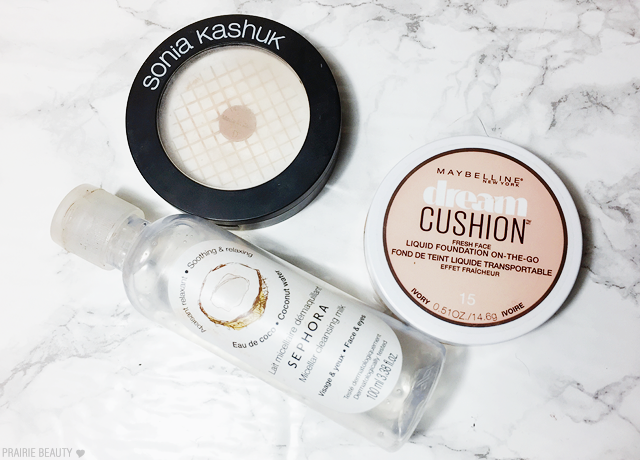 Can I just end this with a little bit of whimpering about the fact that I can't get my hands on another compact of that Sonia Kashuk powder anymore? The loss of Target in Canada never hurts as much as it does in regards to this power. I'm definitely sending someone on a mission for me. Soon. Anyway, thanks for reading about all of my trash! 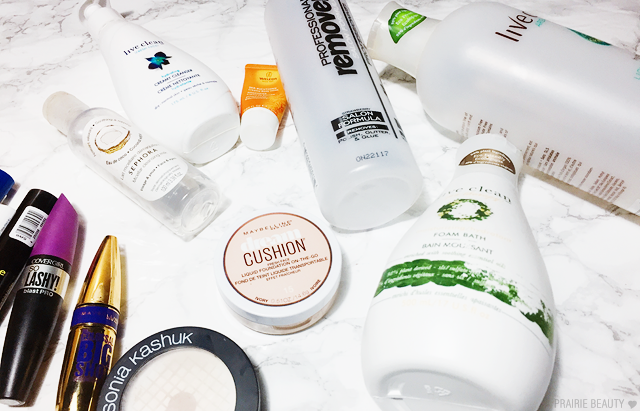 Like I said, let me know in the comments if you want to see a mascara favorites post - or really anything you'd like to see here on the blog!